I’ve Seen the Future of Music, Again! Forget everything you know about serving digital music files. No matter what you are using, it’s irrelevant. A bold claim indeed, but spend a few minutes with Roon and you’ll find yourself getting up from the listening chair hours later. It’s that compelling. Now you can access music three dimensionally, much like you do when flipping through the bins at your favorite record store, but arguably better. And I say this as an analog lover that still has 8 turntables and over 7500 LP’s. So, where did Roon labs come from? The core team that developed the Sooloos music server stayed together and to take their baby to the next level, so rest assured this is not a group of random newcomers to the industry. And every member of this team is Stephen Hawking smart. 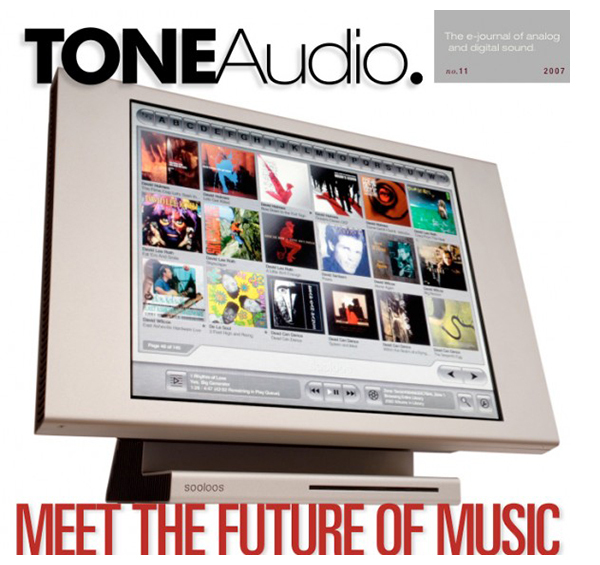 We featured the original Sooloos music server on the cover of issue 11, proudly proclaiming it was the future of music – at least the future of digital music delivery. In the six years since the introduction of the iPod in 2001, Sooloos hit the scene with an ease of use that was, and to a major extent still remains untouchable today. Computer audio was in its infancy then, but like our laptops, cellphones and other things technologically related, it has taken off. For many listeners, the Sooloos interface is now the gold standard of functionality. The guys at Sooloos weren’t sleeping. 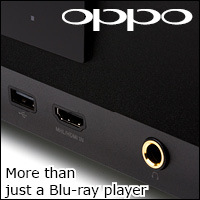 Though they sold the company to Meridian a couple of years after it’s inception to find a better hardware partner, so they could continue to develop the application, porting the Sooloos look and feel to the newly developed iPad in 2010, and a few somewhat lower priced endpoints have been released on the hardware side. Meridian managed to smooth out the rough edges on the initial hardware platform, but unfortunately, the cost of admission stayed high with the Sooloos system remaining available to mostly well-heeled customers. Meridian continued to improve the sound quality of the Sooloos Control units, and paired with their flagship 800 series disc player/DAC, serves up good sound. However, the Control 15 has never played terribly well with other DACs, another limitation. Fortunately, this system no longer needs tens of thousands of dollars worth of specific hardware to run; it’s equally at home, running on mac and windows platforms, with tablet support due shortly after release. You can buy a lifetime subscription to the Roon software for $499, or subscribe on an annual basis, as you would Photoshop or Office for $119 a year. New users can try Roon free for 14 days. As someone who leases all of their production software, I love this model, because with a subscription, there are no surprises down the line. You’ll always have the latest, greatest version, and Roon is wherever you are, regardless of which model you choose. Roon will happily coexist with anything on your current machine, but if you choose to pick up a dedicated machine, a modest configuration will get the job done. Excellent results were achieved on both Mac and PC sides with 4gb of RAM. 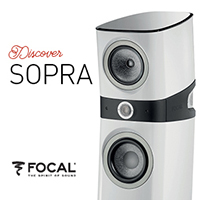 Liberated from dedicated hardware, Roon sounds as good as the DAC you connect it to, and in the context of my reference systems, sounds fantastic with the dCS Paganini and Gryphon Kalliope DACs. 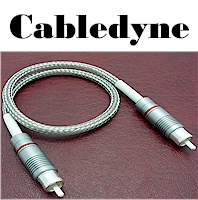 Yet even mated to the $599 Arcam iRDAC that we reviewed last issue, the sound quality has taken a dramatic increase for the better, especially with AudioQuest’s JitterBug (reviewed in issue 71 of TONEAudio) and their USB Diamond cable in the signal chain. The most noticeable difference is in the upper registers, with the digital glare from my Control 15 now a thing of the past. Of course all computer audio geekiness applies here, so the better you can optimize your computer used for playback, the greater the improvement. 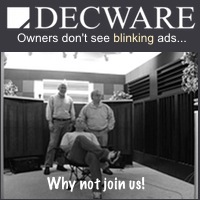 If you are new to the computer audio playback world and aren’t already following computeraudiophile.com, I suggest stopping by to peruse their backlog of articles, they will help you wring even more audio performance out of your Roon based system. Roon finds everything on your network, regardless of configuration, but a NAS offers the tidiest solution. With almost 11,000 CD’s in my collection, an 8TB QNAP NAS makes for reasonably priced, bulletproof storage. Invest the minimal cost difference between enterprise grade hard drives and standard grade drives to ensure long-term durability. Those needing further protection can easily add an equivalent external USB drive somewhere on the network as a mirror. Initial power up and install of the system is brief, but some windows users may need to update their USB DAC drivers to keep everything hunky dory. This only added five minutes to my install process, and once complete, the HP communicated flawlessly with the Gryphon Kalliope DAC that is my current reference in system two. For those who don’t run Roon continuously, upon starting the application, you are greeted by a screen telling you the status of your collection (how many albums, tracks, artists and other data) along with a quick visual link to music that has been recently added. A quick scroll down the page reveals the day’s featured artist and featured composer, both only a click away. 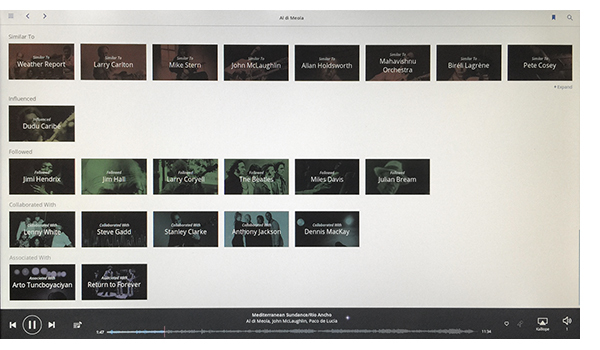 Clicking the icon in the upper left corner offers three different browse modes; overview, genres, discover and a fourth linked to Tidal if you have a Tidal subscription. Again, Roon saves the day with Tidal, making navigation through the clunky Tidal interface a breeze, but better yet, albums you love can be imported to your Roon library with the click of the button. 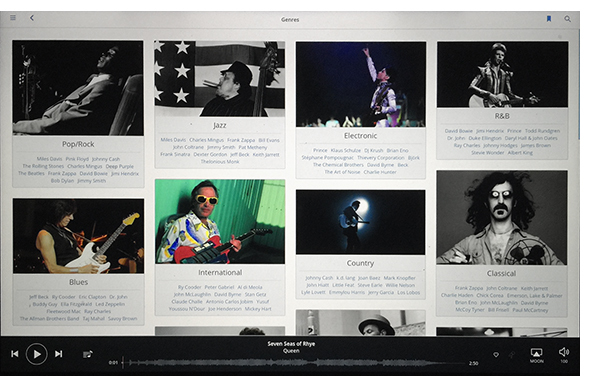 The Genre callout divides your library by musical genre, offering you the options of going to an overview of jazz, rock, country or any of the other genre classifications, with callouts for major contributors to said genres. The mega music geeks in the audience might argue over fine divisions here, but there is no argument to the density of thought that has gone into this. If you decide to follow a particular artist, the resulting main screen presents the artist along with a bio, birthday and other relevant info along with where to find them on the web, Facebook and Wikepedia. All from the comfort of your listening chair. Discover mode “curates your library to find hidden gems, unseen connections between artists and interesting things to hear.” This is the understatement of the year, again revealing a virtual encyclopedia on the artists in your collection. And it refreshes every time you click into this mode. I found this one of the most enjoyable aspects of Roon, continually offering “Wow, I forgot about that record” moments. If this isn’t enough, five more hierarchies remain; artists, albums, tracks, composers and works. Sorting by artist puts your collection in alphabetical order by artist, with a callout as to how many albums by this particular artist reside in your collection. Again, pairing this with Tidal makes fleshing out various discographies a snap. Sooloos users will recognize Album mode and feel right at home, yet with Roon, this is only the starting point of the journey. Tracks are a little tougher, especially if you have a lot of music. It might take forever to get through hundreds of thousands of tracks, albeit listed in alphabetical order. Kudos to the Roon team for offering this, but it’s not for everyone. Composers and works will not be as useful to those listening to primarily rock, pop, and hip hop, but a major boon to classical and jazz lovers. With classical having so many different variations on the theme, Roon may just be the tool to introduce classical music to a new generation of aficionados, and yes, it features gapless playback. 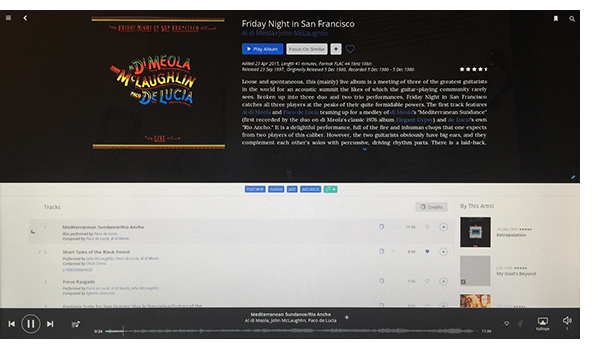 Listening to the classic trio of Al DiMeola, John McLaughlin and Paco DeLucia’s Friday Night in San Francisco, it’s merely a finger tap away from seeing all the other bands these guys played with, which of their albums are available in your current music collection and what else is available to either listen to, or add to your collection on Tidal. Roon’s creators wanted to create a “never ending musical experience.” That they have succeeded brilliantly is an understatement. Starting with Al DiMeola, I was able to take a lap through most of his discography, added a few albums I didn’t have to my collection via Tidal and notice his birthday is coming up, recalling he was on Stomu Yamashita’s Complete Go Sessions, which led to another hour with Klaus Schulze, ending up with some early Santana. This interactional aspect of Roon has really rekindled my interest in music and again, always reminds me of spending a day in my favorite record stores with good friends, sharing knowledge and coming home with a big pile of new records to explore. The microphone button in the lower right corner of the screen illuminates when lyrics are available to the tracks you are listening to, unfortunately the mic was not illuminated when listening to a few of my favorite hip hop records. In this case, I suggest just turning the volume to the maximum. No matter how ambitious, obscure or quirky you choose to get with your day’s listening or playlists, there will always be that time your talented hands are busy and you can’t get back to the server to punch in more tunes. Roon has you covered there too, with Radio mode. Much more than a mere shuffle or random playback mode, it uses all of Roon’s relational database to find music in the same vein that you were listening to, slowly easing further and further away from your original choice until you are again in uncharted waters. Interestingly, after a three day binge of listening to Prince, the Pretenders and Robert Plant, Roon chose some obscure Prince and Led Zeppelin tracks for about 90 minutes and then went off on another tangent entirely when placed in radio mode and allowed to roam free. Radio plays whenever your chosen music runs its course, or you can generate a queue of music to your taste. Touching the radio button instantly gives you a track suggestion with thumbs up or thumbs down icons awaiting your choice. 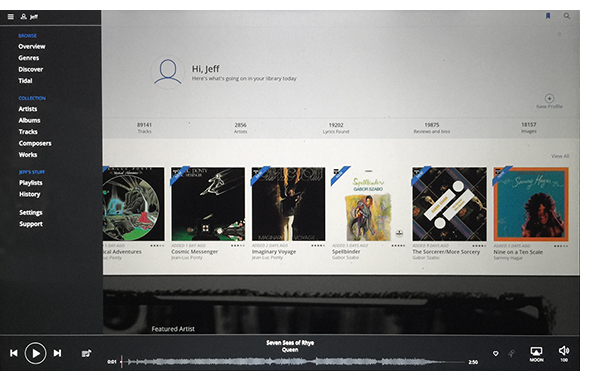 When you select thumbs up, the track is added to the queue, and another, similar track is suggested with a similar choice. Starting with Ratt, I was quickly lead to Dokken, Poison, Whitesnake and Van Halen. Rage Against The Machine led to Jane’s Addiction, White Zombie and Living Color. The more diverse your music collection, the more interesting radio mode will be, whether you chose random mode or program it yourself. I find this more and more to be my go to mode. If you’re a major music geek, you’ll be in heaven with Roon, especially if you link it to Tidal. And if you aren’t, I suspect you will be soon. Back when I was a kid, dinosaurs roamed the Earth and birds played records, there was always that guy that had the awesome record collection. Now you can be that person, and can have more access, more knowledge and have more fun than he ever did. 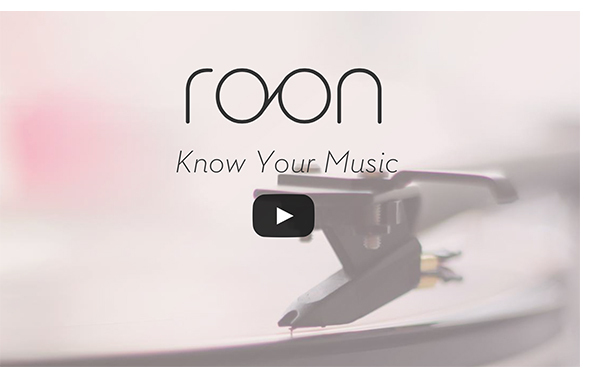 Roon brings a tactile, interactive, dare I say analog way to access your music collection. Actually, we have a follow up on the current version of Roon on the way! Should be about a week.